Yosemite National Park skiing can be done at a ski resort within the boundaries of Yosemite and nearby resorts, or you can grab your cross-country skis for some backcountry adventures. Backcountry skiing in and around Yosemite offers so beautiful scenery, groomed and tracked trails and wonderful snow pack. Take the trek to Glacier Point from the Yosemite Ski & Snowboard Area (formerly Badger Pass Ski Area), or adventure into the wilderness around Tioga Pass. Besides many places to venture into the Yosemite backcountry, you’ll find spots around the park, such as Lee Vining, June Mountain and Stanislaus National Forest have plenty of places for cross-country skiing where you can enjoy the winter beauty of the Sierra Nevada Mountains. At Dodge Ridge there is skiing for the whole family, with three free-style terrain parks and a 1,600-foot vertical drop. It’s great skiing for all levels of ability. 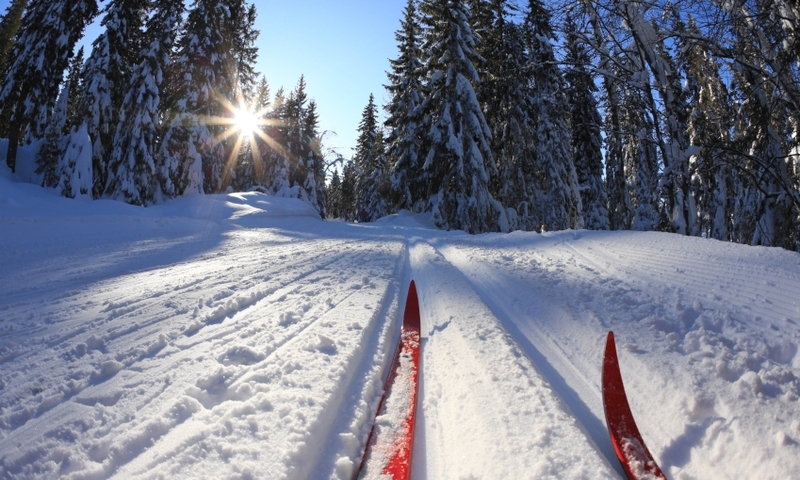 The season for Dodge Ridge skiing is typically from December to late March. Adult Full Day tickets are $74. Distance to this ski area from the western entrance of Yosemite at El Portal is 115 miles. This family-oriented resort is within Yosemite National Park, and is the ideal place for learning to ski. 85% of the runs are for beginners to intermediate skiers. You can ski Yosemite Ski & Snowboard Area typically from mid-December to late March. Adult Full Day tickets are $55. Distance to Yosemite Ski & Snowboard Area from the southern entrance of Yosemite is 18.5 miles. You’ll find rental ski equipment available in many shops in the communities within and surrounding the park.